It's a little surprising that Pulau Tioman isn't better known and more popular. The island, which stood in for Bali in the original Bali Hai film, features lush jungles fringing sandy beaches lined with simple bungalows. Granted, it can be a little difficult to get there, but who says the best destinations have to be easy? Tioman will be especially attractive to people looking for a tropical island that isn't too developed, but still has a few choices for places to stay and eat. Most of the developed areas line the small bays of the west coast of the island. The hotels and resorts tend to be low end with very few high end, or even middle class, accommodations. The best time to visit Tioman is from April to October, when the rains have gone. Of course, this is also when rates will be higher, but some resorts even close during the low season. There are lots of the customary things to do on Tioman, although the very best activity by far is the diving. 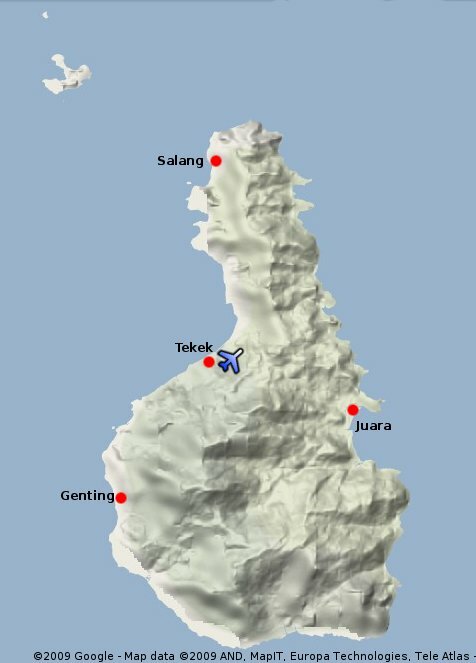 Note that, as part of a National Marine Park, there is a RM 5 (1.02 USD) admission fee for adults to access Tioman. You will pay this fee either on landing at the airport, or boarding the ferry.